in Build Flavor Fast, Foodie Fun!, Quick and Easy! And here’s the graceful scape. Snap it off where the stem meets the plant. 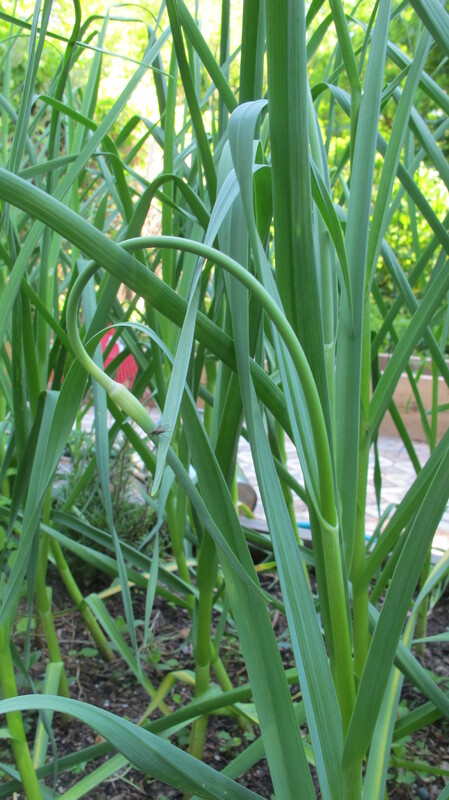 Garlic is very easy to grow, by the way. 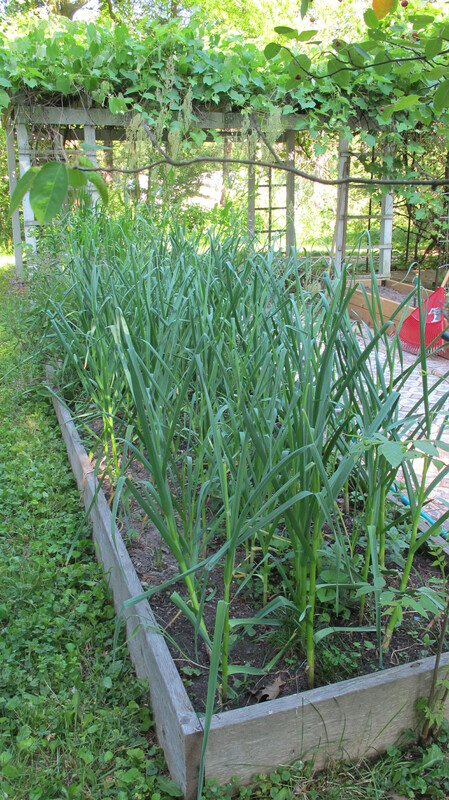 As long as you choose local varieties that you can get from the farmer’s market as well as through nursery catalogs. The stuff in the store right now is likely from China and is sterile–ick! 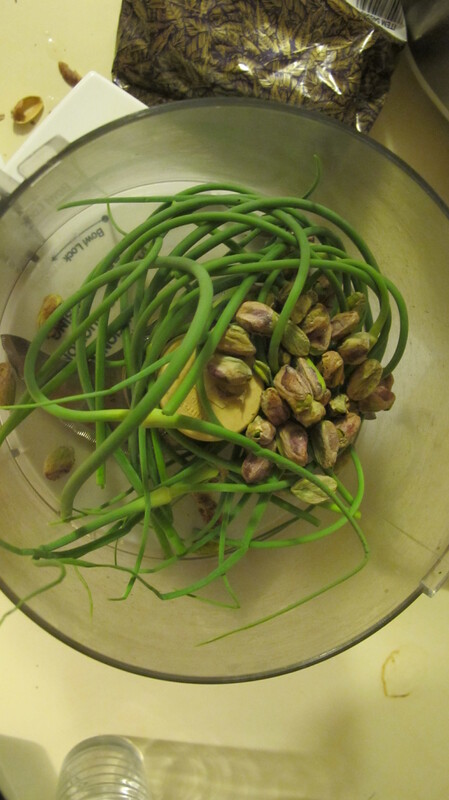 So, making garlic scape pesto couldn’t be easier. Since you already have the garlic flavor, no need to add extra garlic. And the nuts are salted, so no extra salt is necessary. In this version, nutritional yeast (which can be purchased locally at Nourish Organic Market or Harvest Health) replaces the traditional parmesan. I’ve made this with and without basil; either way, it is very good. The amounts of the main ingredients can be modified to suit your taste–and your crop–I find the food processor is very forgiving. 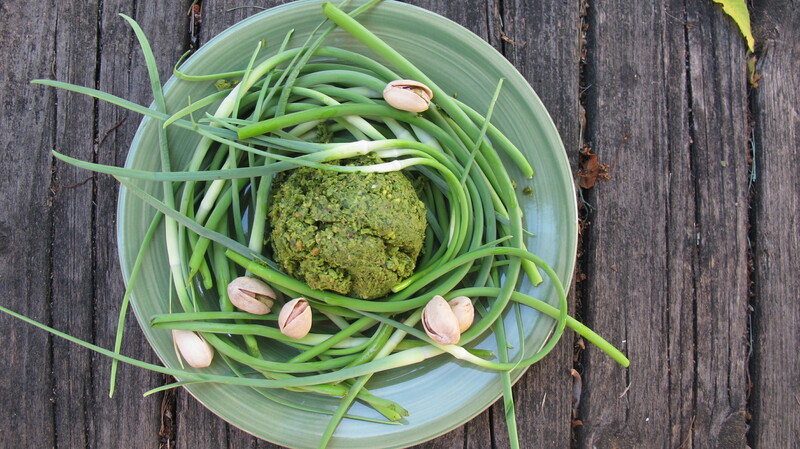 Put the scapes and the pistachio nuts into the bowl of the food processor and grind away until the ingredients are finely ground. Add the nutritional yeast and pulse a few more times until it, too, is incorporated. 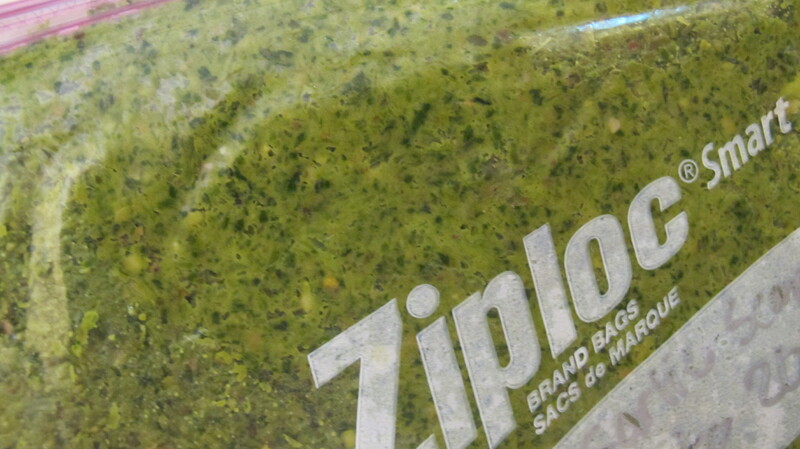 Or I will thin the pesto out with some reconstituted sun-dried tomatoes and make pasta, or use it on crackers. This stuff is addictive! Just don’t spend too much time in the kitchen. It is June in Michigan, after all!